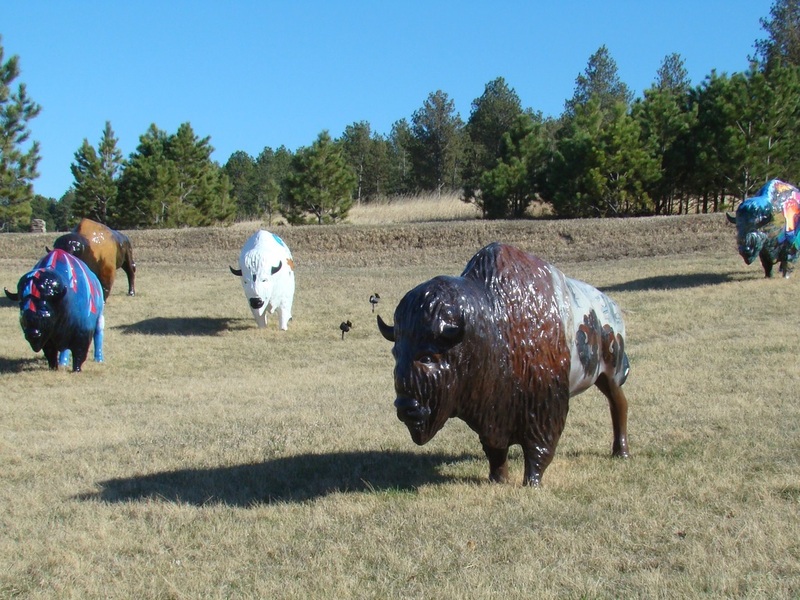 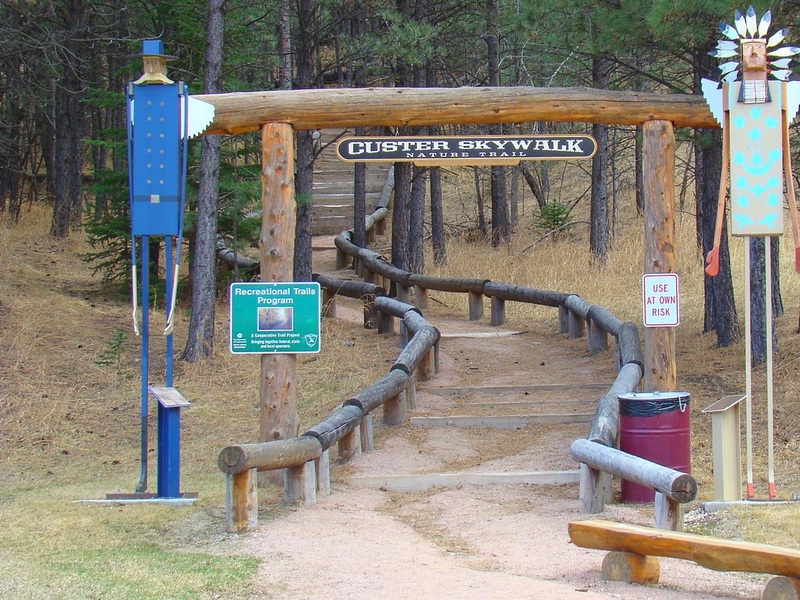 This summit, situated on the south edge of Custer, now has several trails for hikers to enjoy a jaunt in the forest plus two scenic overlooks. 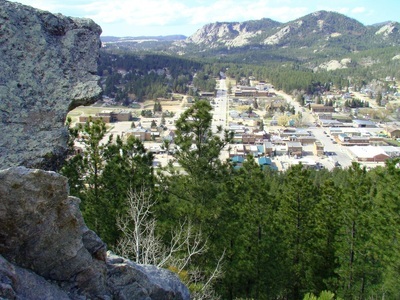 Pageant Hill, elevation 5680 feet, is located a few blocks south of the downtown area on the south side of Harbach Park. 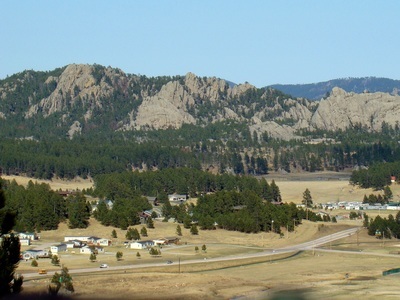 The high point of Pageant Hill is a large rock formation, simply called Big Rock. 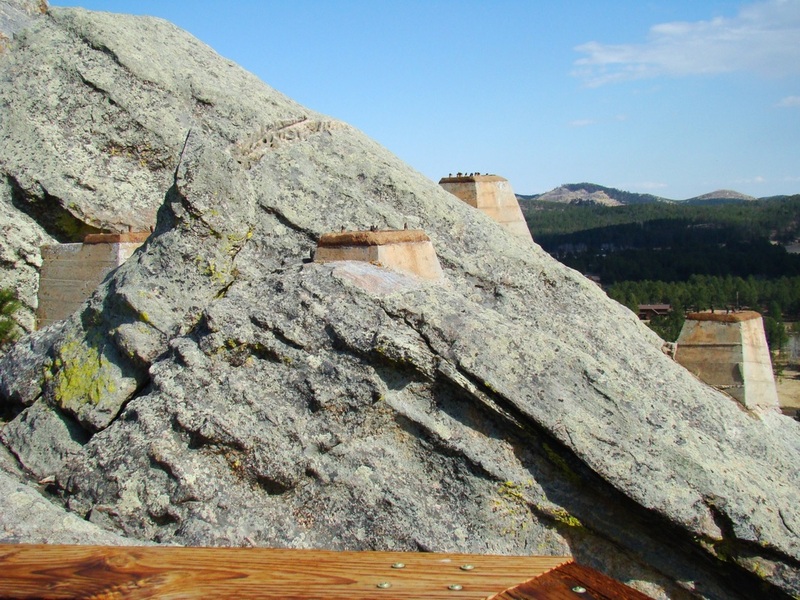 A relatively new lookout deck at the summit is now open to the public, which gives visitors an outstanding view of the area around Custer, including views of Black Elk Peak, Little Devils Tower, Sylvan Peak, Buckhorn Mountain, Calamity Peak and Cicero Peak. The foundations for the old Pageant Hill Tramway can still be seen on Big Rock. 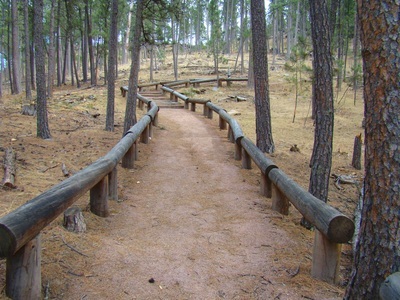 The new trails have been created, based on old roads that traversed Pageant Hill. 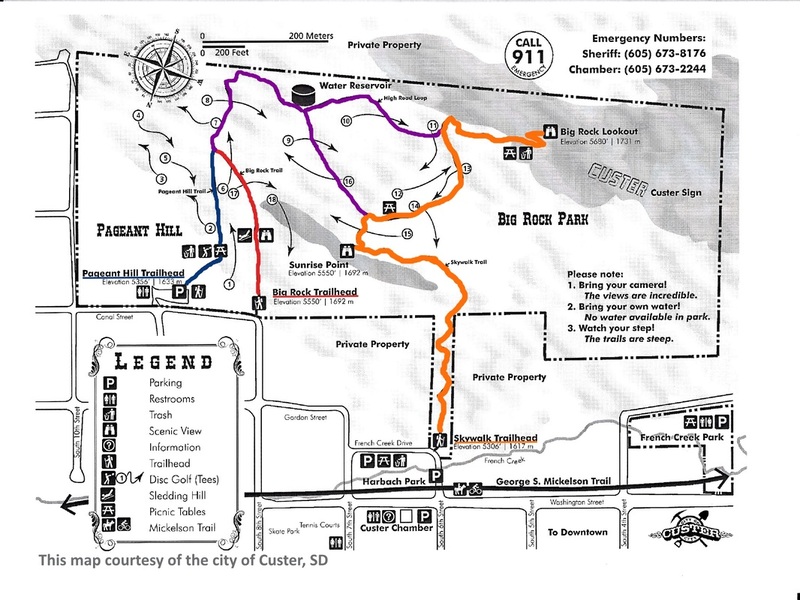 Check out the map on this page for a look at the trail routes, and how to get to Sunrise Point and Big Rock Lookout. Big Rock Trail is a moderate trail, avoiding most of the long series of steps of the Skywalk Trail to the west. There are 40 stair steps to the summit deck. 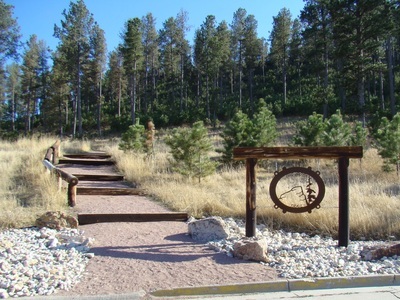 The trailhead is located at 8th & Canal Streets. 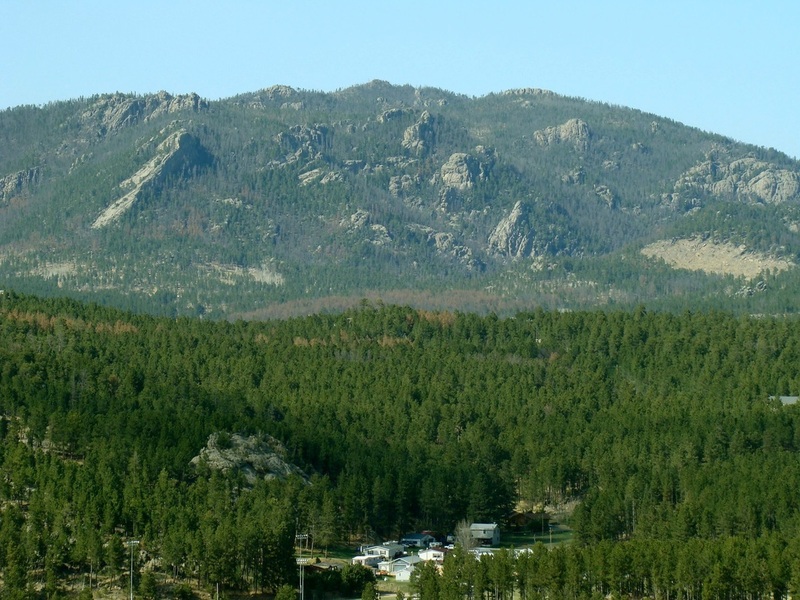 From the trailhead to the summit is a little over 300 feet in elevation gain and is about .7-mile in length. 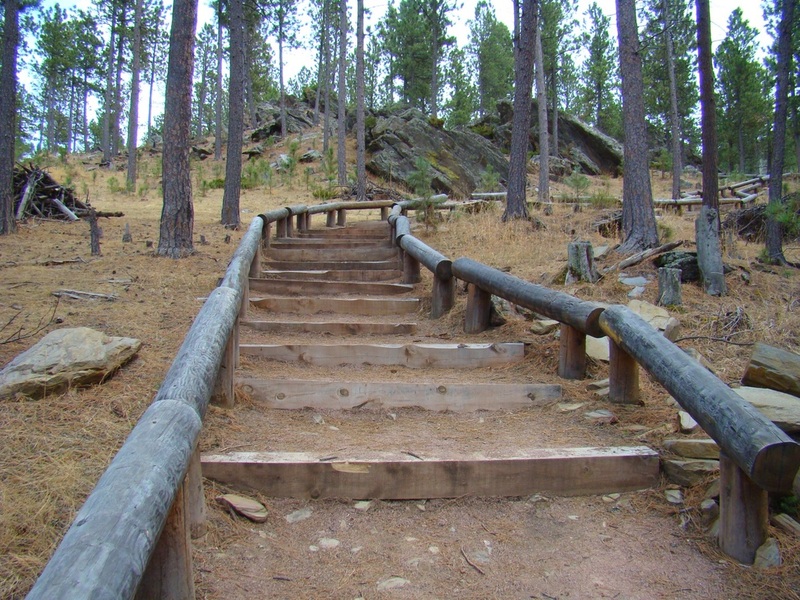 Partway to the summit, the Pageant hill Trail merges with the Big Rock Trail. 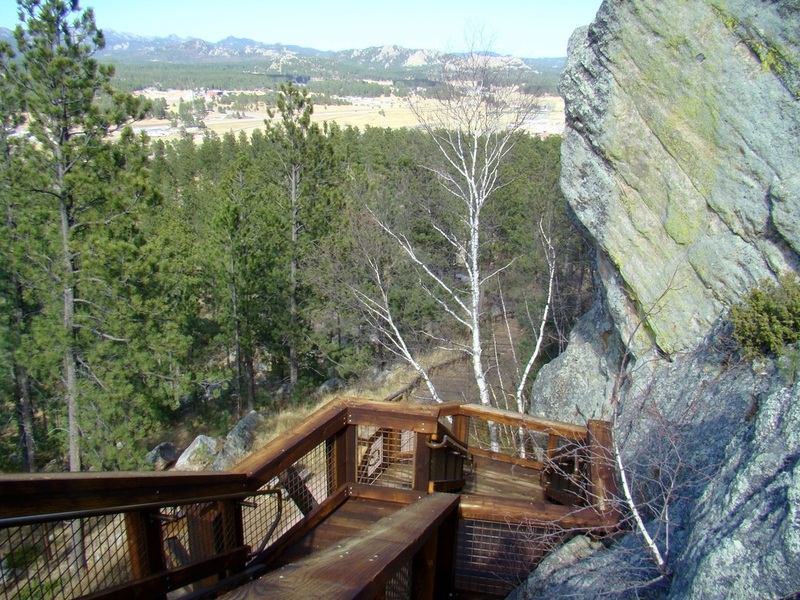 Near the water tower along the route, there is a shortcut called the High Road Loop Trail that will take you to the final stairway to the Big Rock observation deck. 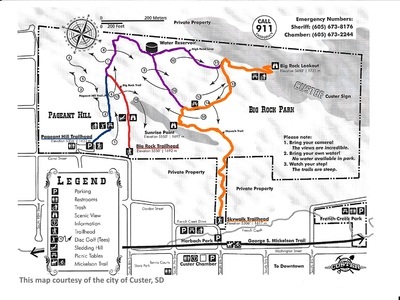 The Pageant Hill Trail begins at the parking lot at 9th & Canal Streets. 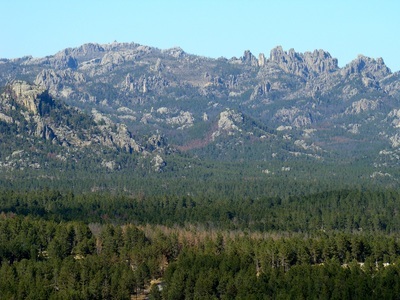 It merges with the big Rock Trail, making the hike almost the same distance, but with 324 feet of elevation gain. 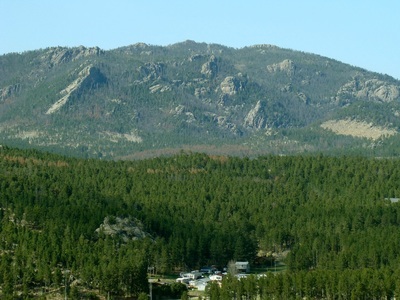 The Pageant Hill Trail is also rated as moderate. 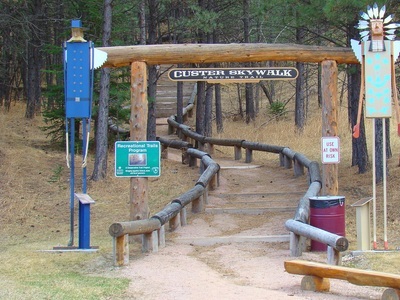 The Skywalk Trail is rated as difficult, because of the large number of stair steps (over 300! 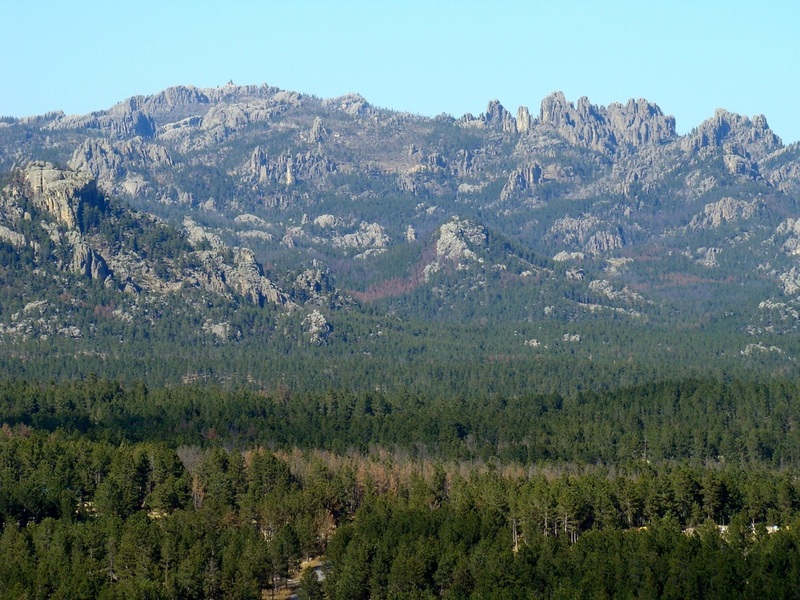 ), plus the greatest elevation gain of the three trails, at 374 feet, yet only just over .5-mile long. 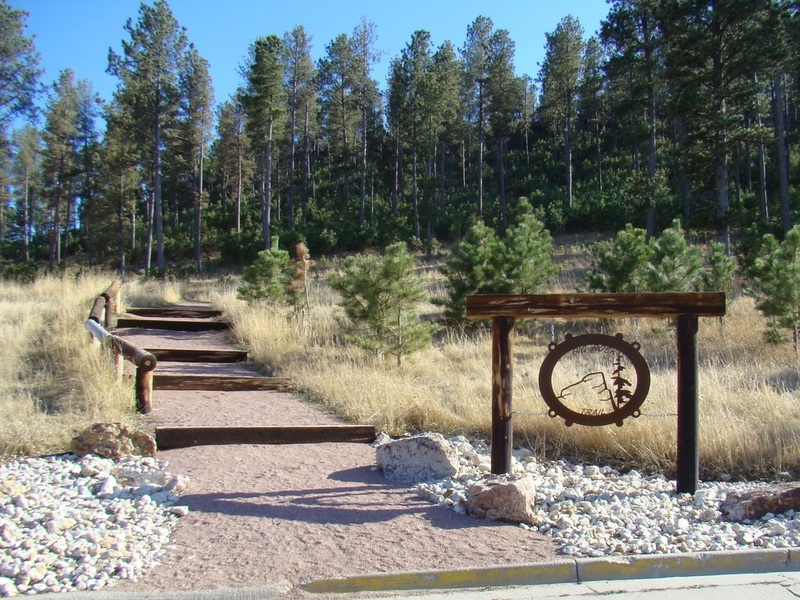 The trailhead is at the end of 6th Street, by Harbach Park. 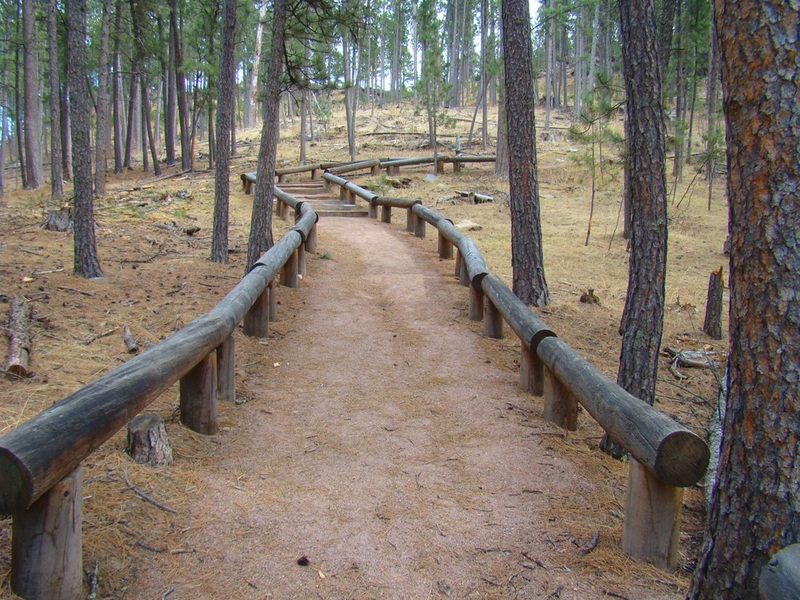 This is one trail you might want to avoid if you have any mobility or health issues.